Priyanka Chopra and Nick Jonas tied the knot on December 1st at Umaid Bhawan Palace, Jodhpur. The couple had two ceremonies: a white wedding where they both wore Ralph Lauren creations and an Indian ceremony with Sabyasachi as the weaver of their dream outfits. 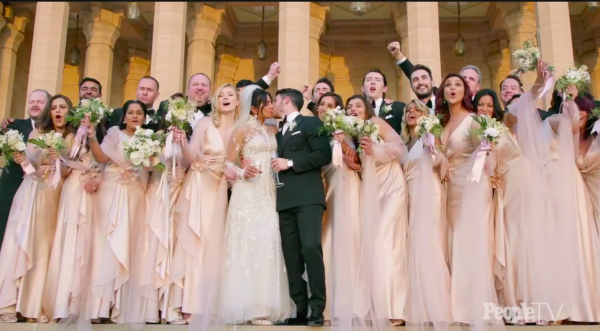 For her white wedding, Priyanka chose her closest friends and loved ones as her bridesmaids, while Nick had his brothers by his side and his dad officiated the wedding. Today, the pictures from her wedding were released by a leading magazine and we are surprised to see some of the faces that made an appearance! Here is a list of all the bridesmaids that Priyanka Chopra chose for her wedding, clad in beautiful satin gowns from left to right. The screenwriter of Priyanka Chopra's movie Anjaana Anjaani, she and Priyanka have been great friends since the movie's release in 2010. The heiress was one of the most prominent figures to be present at the wedding. Rumour has it that Priyanka is all set to return the favour by performing at Isha's upcoming wedding! Salman Khan's sister came as a surprise but was one of the firsts guests to arrive at the wedding. Her best friend Tamanna has been spotted in various pictures from Priyanka's 35th birthday bash. 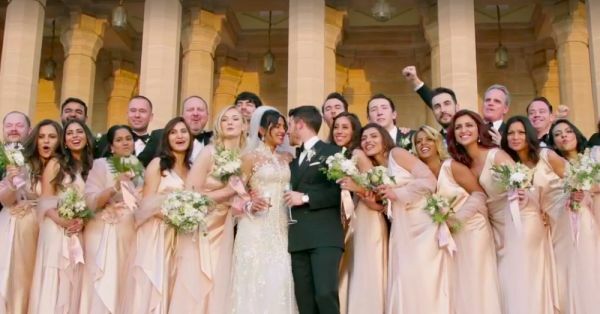 The Game Of Thrones actress is engaged to Joe Jonas, Nick's older brother, and if Instagram is to be believed, she and Priyanka get along like a house on fire. Priyanka Chopra's sister-in-law Danielle is Nick Jonas's oldest brother Kevin's wife. The TV anchor tied the knot with Kevin back in 2009 and has been seen bonding with Priyanka ever since the engagement. An indie film producer, Mubina and Priyanka have been friends for years and have often been spotted together. Last but not the least, Priyanka's cousin, Parineeti Chopra played the part of a sister to perfection. She was seen hustling around for the wedding preparation and also teasing Nick Jiju on social media! The manager behind landing Priyanka Chopra with Quantico, she is the mastermind behind Priyanka's career. The American actress is famous for her role opposite The Rock in Gameplan. This film producer was the mind behind the films London, Paris, New York, and Droona and is also Goldie Behl's sister.